Well, Jane Lynch is just incredible. That storyline was just amazing, and so well done. The rest of it? 4 performances in a row of someone stood on stage doing nothing singing (to me anyway) unknown songs (apart from Back to Black) = very dull. Jessie is just awful. And the love quadrangle AGAIN? Quinn squeezing out one tear and Finn is ready to profess his love so easily? Everyone I talked to was crying. I have no soul so I don't really count. I agree Josh. I thought everything Jessie St. James said was true. I didn't cry myself lol, but my friend did. It was pretty emotional though when Sue was speaking at the funeral, and when it showed the video. Agreed, Jane Lynch was just awesome this episode. So much love for her. 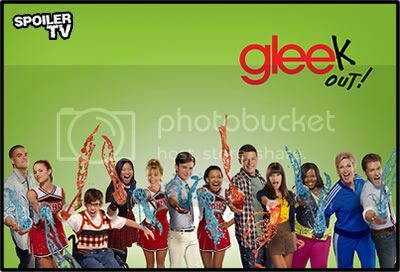 Oh, and also, where the hell is Beiste? I was thinking the same thing. We haven't seen her at all since the reboot. Outside of the Jean's death storyline, I didn't care too much for it. Even the songs sucked. /: Well, the one at Jean's funeral was actually okay. But that's it. And Jesse is easily becoming more prone to my hate. Never liked him, and I don't think I ever will. Also, yes, where the hell is Beiste?! It WAS great to see Howard. And I'll miss Teri, too. I mean, for a main character, she certainly hasn't had much focus. It's hardly a loss with her lack of appearances and development. She's never even sung at all. But Terri leaving is just another sign that we can say goodbye to what made Glee, Glee in the first place. Just about every character that helped with the charm of season 1 has been written off (Terri, Howard, Tanaka, Ryerson, Jean, and good guest stars!). Despite all being minor, they all had their own little part of the show that made it so special. And the characters like that who are actually still around have severely diminished roles now. The show being solely about the competition and petty romances has aided in killing it. Then there's the constant over saturation of some characters. And now they do such overplayed songs. Most of them are good, it's just the fact that most of them are constantly on the radio, so hearing Glee covers only makes me grow tired of them. I prefer when they do more obscure songs. Season 1 just felt like there was a perfect blend of everything. Now, UCK. The show's still pretty good, but it's just not the same. Oh I know she's barely been in it and doesn't sing, but she was a great antagonist in Season One. But I totally agree. Season One was awesome, but it's really lost it now. I'm not 100% sure if I'd consider her to fully be an antagonist. Terri was more somebody who just perceived things in a way that caused her to unintentionally hurt others. She's kind of in the middle to me. That's another part of the season 1 charm; not knowing where some characters stand. I like not knowing what kind of actions to expect from characters. Season 2 has just made pretty much everybody far too predictable.